This week, Your News to Know sums up the top stories involving the gold market and the overall economy. Stories include: 3 key factors one market watcher says will likely move gold in 2017, Doug Kass is moving into gold, and gold rally has legs as military risks rise . Gold had a good year in 2016, reaching considerable highs before settling at a 9% gain year-over-year. Fox Business’ Sean Williams, however, believes Americans need to look ahead, which is why he compiled 3 key reasons that he believes will move gold in 2017. The first reason is the issue of the Federal Reserve. In recent years, nominal returns on interest-bearing assets have often been lower than the national inflation rate, meaning investors were losing money despite earning a positive return from buying a CD or Treasury bond. And while the three expected rate hikes in 2017 could change this and therefore make gold – a non-yielding asset – less appealing, Williams reminds us that we entered 2016 with expectations of four hikes, yet only had one. Second on the list of reasons that will move gold in 2017 is the well-known Trump factor. No President in recent times has brought as much uncertainty as Trump has, which be a tailwind for gold. Furthermore, Trump’s proposed reforms are broad, and should he struggle to get Congressional approval for any of them, Williams believes it would be positive for gold. The third factor is the gold situation in India. While India produces only two tons of gold annually, it is one of the world’s top consumers of the metal, importing 700 tons in 2015 alone. Instead of buying Indian bonds or stock, most Indians opt to store their wealth in gold jewelry. 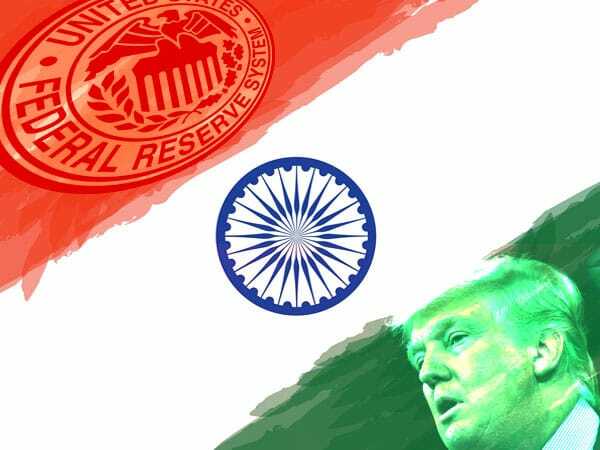 This continues to trouble the Indian government, who has tried several unsuccessful methods of getting Indians to part with their favorite commodity; in 2015, for example, an increase in import taxes only served to increase Indian gold imports by 12%. It remains to be seen whether the Indian government will try to up the ante by imposing more severe restrictions, but regardless of what happens, gold bulls and producers can rest easy knowing that Indian gold demand isn’t going anywhere. While many are dismissing gold and embracing stocks after Trump’s election, one notable money manager believes it’s only a matter of time until a different reality will hit. If this happens and the optimism subsides, contrarians – especially gold bulls – will be the biggest beneficiaries. “Given the developing and concerning conditions – and lack of credible policy responses – that I now see falling into place, the uncertainty premium should be rising and gold may be a beneficiary this year,” said Doug Kass, president of Seabreeze Partners Management Inc. The post-election Trump rally might have lifted the S&P 500 to record highs, but Kass isn’t sold on the rush: the investor reminds us that there are numerous obstacles that the U.S. has to overcome, primarily, the mounting trillion-dollar debt that will likely sap productivity as the Federal Reserve raises borrowing costs. Many view Trump’s jabs and challenges as humorous or light-hearted, merely a quirk of the President-elect’s personality. Yet Barron’s William Pesek asks an important question: what if the Asian nations have a different sense of humor? As if there wasn’t already enough tension between Washington and Pyongyang, North Korea’s capital, Trump recently created even more. In one tweet, he practically forbid the isolated nation from building a nuclear weapon that can reach the U.S. And while few approve of Kim Jong Un’s regime, experts like Bradley Martin believe that much of the dictator’s military posturing is done to appease his generals and agitate Washington. The real concern, Martin finds, is that Kim’s generals may try to force his hand towards displaying North Korea’s military might to the U.S. Likewise, Pesek thinks Trump has underestimated the impeding pushback from China’s president Xi Jinping, who might very well respond in bold fashion in terms of both trade and military movement. As concerning as these developments are, there’s no question that they bode well for gold. Pesek explains that last’s year’s 9% gold rally has legs as geopolitics trump economics in the world’s most dynamic region. Plus, rising tensions between the U.S. and North Korea make the forecast of a 12%-13% increase in gold in 2017 seem conservative. When one adds to this a potential crisis in the South China Sea and Trump’s plan to introduce more U.S. warships, it seems as though it could be only a matter of time until gold bullion’s safe-haven appeal reignites.